With Passive Bioclimatic design, it enhances building performance and increase the quality of life for the users. Increase a reputation of a building or company. Concept phase, developing design and construction building using Software Building Information Modelling. Works with the team involved in the project with professional manner and do a job based on the standards. As a requirements for Energy Conserving Building, LEED, GBCI Certification. The quality of doing an activity and health of a person in a building/room is determined by the thermal comfort and quality of air in the room/building. Consultant team of Passive Bioclimatic thermal design and Natural ventilation of ALTA Integra works together with building Architects and HVAC Consultants to optimize passive bioclimatic thermal design and natural ventilation also mechanic to reach thermal comfort and quality of air in a building. Thermal design of a building that is good can minimalize the use of energy as a requirement for Renewable Energy Green Building. Passive Bioclimatic Thermal Design of a Building is a strategy in controlling thermal energy that is in tune with the climate surrounding the building. The strategy of passive design around the control of the source of natural thermal that enters the building with opening settings and building orientations with the right use of building materials and thermal insulation. 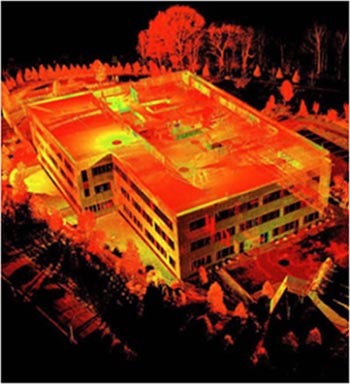 Preview 3 Dimension software BIM that shows the thermal mapping of the building. Passive design Bioclimatic Natural Ventilation is the strategy of controlling natural air that is in tune with the air surrounding the building. Passive design strategy of natural air surrounds the control of quality air that gets into the building and controls air that is lacking in quality out of the building. Video Animation that shows the difference of natural ventilation before and after redesign. To get more information about Passive Design Natural Thermal and Ventilation services please call us or fill the form below.